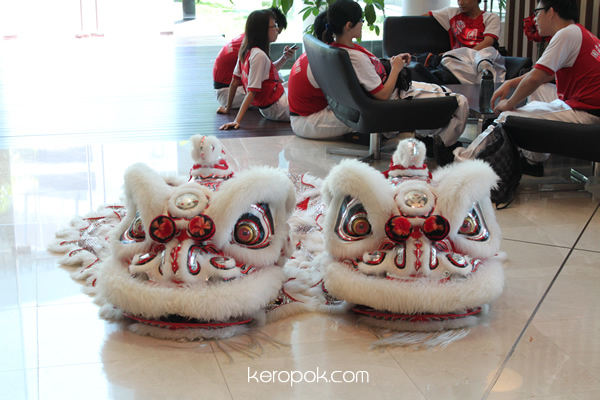 A pair of Lion Head of the Lion Dance troupe! The kids, yeah these are NUS Students from the NUS Lion Dance, a student group that's part of the NUS Centre for the Arts. Get ready for the noise! It was boisterous when they performed for our company's annual Chinese New Year lunch today.